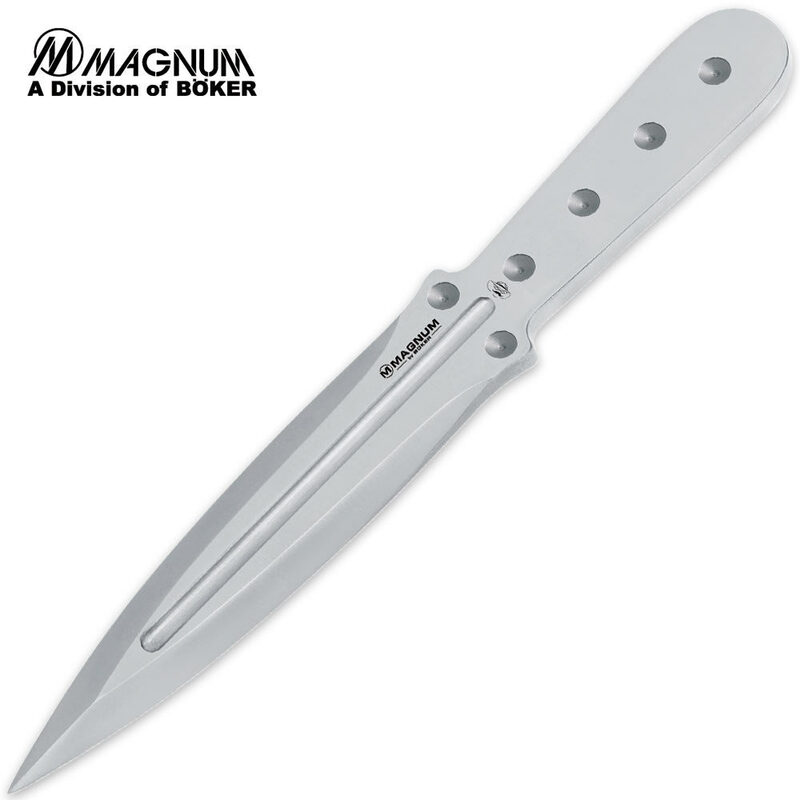 This is the throwing knife that all professional and tournament throwers have been asking for. John Bailey's Zeil throwing knife is perfectly balanced for both handle and blade throwing, delivering maximum penetration in all types of competition targets. This is the best "tournament grade" production throwing knife made in decades. The Zeil knife is made of super tough 420 stainless steel. It's 8-7/8" overall size also makes it an ideal boot knife. Includes leather sheath.